Good morning darlings! I hope you have an amazing weekend! Mine was fantastic and reminded me how lucky I am to have such an amazing husband! Not only did he get my an adorable card (and one from Eleanor), chocolates (Godiva & Lindt) and a new pair of shoes (Christian Lou-freaking-boutins) he also surprised me by having my best friend meet us at the restaurant for a surprise double date dinner! Seriously how did I get so lucky?! So coming off the amazing high that was my weekend I finally scooped up a polish I have be obsessing over since I got my last pedicure, Essie's Fiji. Fiji is seriously the perfect girly / dainty nail polish! I've been absolutely LOVING it on my toes and had to pick it up so I could reapply when my toes start to chip and with the promise of spring in the air... Minus the addition 3-5 inches of snow they are calling for in the Chicago land area.... I was feeling a pastel color for this week. I am not normally one for pink.. In fact pink is one of my least favorite colors... I blame growing up in a mauve pink bedroom with horrid floral wallpaper... .:shudders:. But if its a perfect pastel pink or China Glaze's Flip Flop Fantasy I'm totally on board! 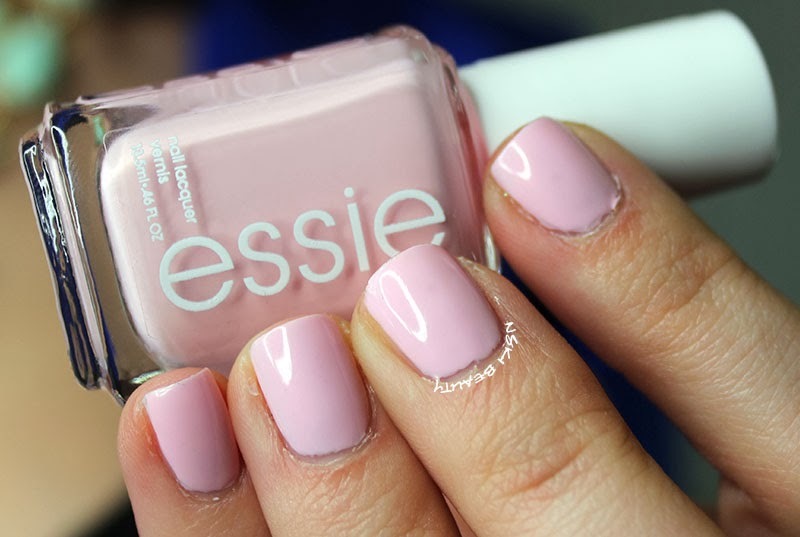 Like most formulas from Essie I was able to have a nice opaque coat with one coat but I did find the brush almost had to much on it when I was applying the color. I think it may be because it was a brand new bottle but I'm unsure. I did opt to go with two coats as I'm a creature of habit but could have totally gotten away with a single thick coat. I definitely have to say this should be a staple in everyone's nail collection. It goes with everything, is office friendly and is just such a chic color. I'm telling you if you can go out and get this color right NOW cause its seriously FABULOUS!